WHAT’S YOUR HANDSET OF 2012? Season’s Greetings, Synapse Circuit Readers! Yes! We have survived the Apocalypse! Whoo hoo! It’s great to see you as always! I hope that by now you have done all your preparations for the Christmas holidays! And, hey, if you are still wondering about Christmas presents you are still able to buy some decent software that you can download instantly online! So, don’t panic! Check out Synapse Circuit magazines for some great ideas! Wink, wink! Lol! When the Galaxy SIII was introduced I was taken aback... I didn’t know what to make of the design; I was expecting something like the Galaxy SII and the SIII design was quite radical! And it wasn’t in black as I had become accustomed to! Pebble Blue and Marble White???? I wasn’t sure! I thought these colours were decidedly odd! The handset looked like a piece of cheap plastic – albeit from a distance. However, when a fresh virgin Marble White Galaxy SIII was delivered to my door I was thrilled! It did look like something out of the future. The plastic looked far from cheap! Like all the Galaxy S series the SIII felt like a weird bar of soap! I had to be careful not to drop it it’s so smooth! It took me a while to get used to handling the SIII; the one thing I would hate is to tell Samsung’s PR that I’ve busted a high-end handset! The worst part of handling the SIII is where taking pictures and videos were concerned; it’s just too thin for a burly man with big burly gorilla man hands! But once I got comfortable I was able to take great pictures and videos! You will almost certainly benefit from getting a case for it that will not only protect the massive 4.8 screen but make it easier to handle for taking pictures, etc. I just appreciated how the SIII worked from S Voice – yes, the S Voice works quite well for basic functions. Receive a text and instead of replying via text just put the phone to your ear and it’ll start calling that person! Excellent! I enjoyed the speed of the 1.4 quad core CPU which turned in fast results when surfing the Net both WiFi and 3G! The video playing over any screen was great! Sure, you can get that function via an app but it’s good that you don’t have to! Also watching video is a superb experience with that lovely screen! And the Smart Stay eye recognition was more than a novelty! 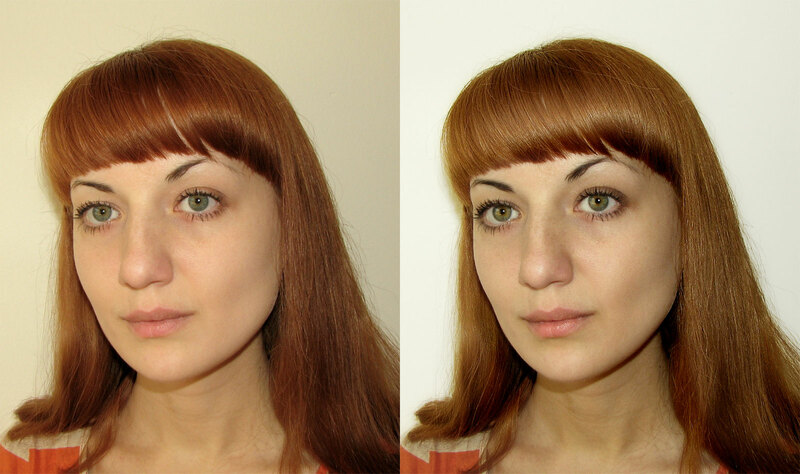 It really works – in good lighting conditions! So, why did I opt for the Galaxy Note II instead? Well, the Galaxy Note II is a superlative handset; it’s just like the SIII only bigger! The 1.6 GHz quad core processor just shifts! YouTube video is a breeze; the Internet is zippy and TouchWiz is the best yet! It works so very well – it’s responsive! The combination of TouchWiz & Jelly Bean 4.1 is sublime! I used to think that Samsung ought to run Jelly Bean vanilla, but the Galaxy Note II is a good argument against it! So many people use launchers anyway i.e. Go Launcher, Nova, Apex, etc. The S Pen is a great addition that allows you to preview the contents of a folder, gallery, etc without touching the screen! It’s easy to preview a video ahead before you get to get to those specific frames! Then there’s the multitasking... You can have two windows opened at the same time... Email and the Internet... Facebook works in the multiview mode now! It is fantastic! 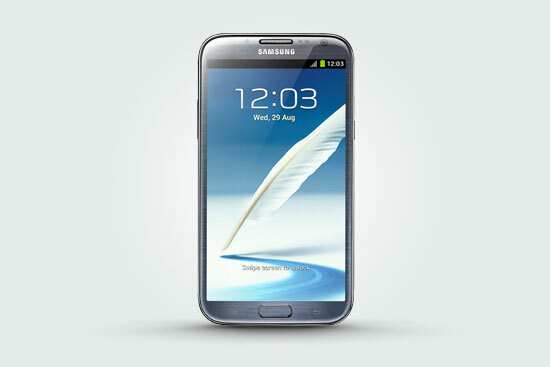 I think that anyone who does business who uses email and the Internet heavily then the Galaxy Note II is the way to go! I know people who have the first Note who are absolutely thrilled with it as a business device! I also appreciate the S Note and that one can create some interesting documents. It has the possibility to add video to the Notes but you can’t (unless I have missed something) export to Interactive PDF whereby a video playing within the PDF is possible. I assume that Samsung are banking upon the S Note format becoming popular so that other Note users can share with each other. However, PDF documents can be created and can be edited in suitable software such as InDesign or PagePlus! The only negative – if you can call it a negative - that I can think of, like most reviewers, is the huge 5.5” screen! Some may find the handset too big, but I love it! The screen is quite vibrant when you turn up the brightness which drains the battery! But a moderate setting will have the 3100 mAh battery lasting a day and a half with light usage! The good thing about the battery is that it charges in roughly an hour! It’s all good! It also has a whopping 16GB (32 & 64GB on other models) of storage that can be expanded with microSD up to 64GB and 2GB of RAM!!!! So, there you have it! The Galaxy SIII and Note II are, in my opinion, the best handsets going! Oh, I have heard that there’s a problem with some SIII units that go dead all of a sudden... I am sure Samsung will either fix or replace faulty handsets! I’ve not heard of any issues with UK users – yet! MAKE SOME MUSIC, WHY DONTCHA!? You and I both know that there’s nothing on TV this year that you haven’t already seen before! If you love movies the chances are you already own the best ones on DVD or Bluray! Why watch ‘em again on TV and with commercial breaks in between? Yes, why not have a go at making some music or whatever it is you call it? My love for music goes back to many decades – before I was even born! But I am very fond of Electronic music largely because it excites me to make a noise that defies conventional music. Yes, I like to experiment. I love Experimental music because it’s unpredictable. Sadly, Experimental music gets confused with Industrial. Industrial music is nothing but hard Disco pretending to be ‘Alternative’. But whatever turns you on! You’d think that making music – as a non-player – would be difficult, but it’s not. Not really! You can use your ear and record what pleases you! Or you can use sample loops! Better still, you can use a combination of sample loops and whatever you fancy by the way of virtual instrumentation! I guess it may help if you have some musical knowledge however, you can hear that most music in the charts today does not have much by the way of musicianship! But some people like it! This is the one that got me started quite a few years ago! I have used previous versions of Music Maker Premium and this version is the best yet! It is fully compatible with VST = Virtual Studio Technology which is software synthesizers and effects. Therefore, with VST, you can expand Music Maker Premium further! Oh, the standard version has VST compatibility too! But you get more functionality with the premium version! 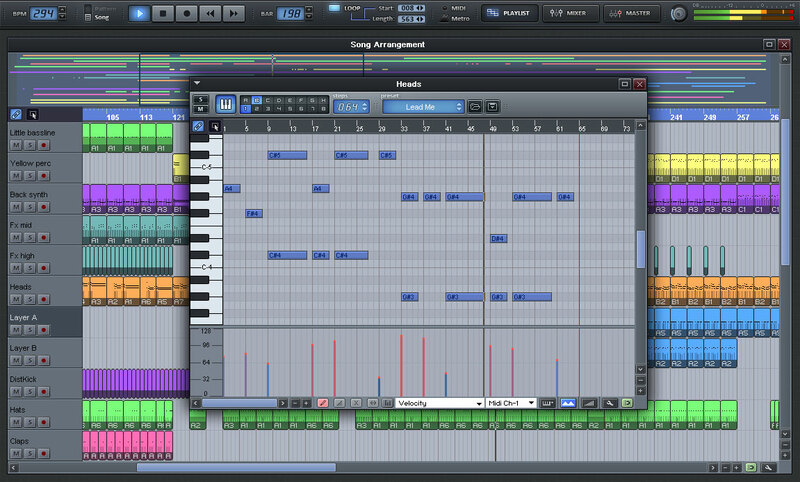 What I love about Music Maker Premium is that it is so very easy to use! If you want to create your tracks using sample loops then it’ll do that to the max! If you want to make music from virtual instruments and effects then it’ll do that too! And, if you want to plug in your instrument – be it a mic, guitar and / or keyboard – you can do that too! There’s more good news! Music Maker Premium comes with loads of sample loops that will enable you to create many, many musical compositions! 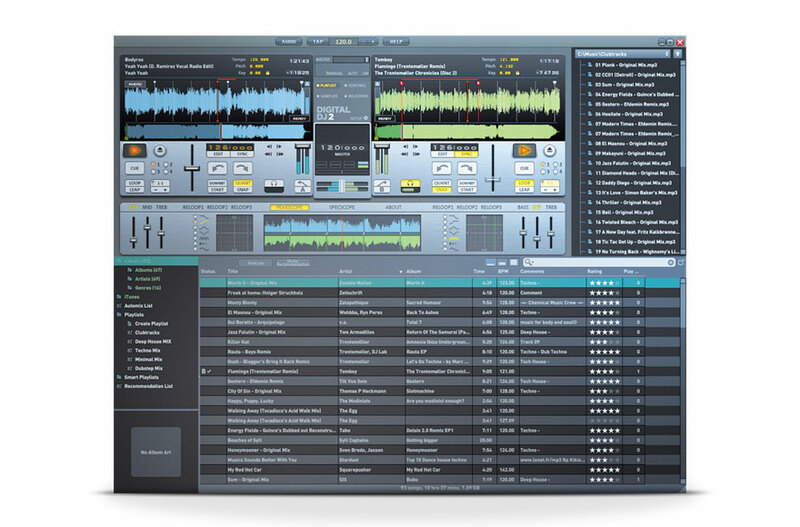 Music Maker Premium is a great all round music making software for all levels of abilities. Oh, it can import and edit videos too! Wow! I love Orion Studio because it is geared towards professionals but remains so wonderfully easy to use! It’s got the lot! Built-in instruments and effects of a very high standard; the ability to record from the mic input of your soundcard and is VST compatible too! In my opinion, Orion Studio is more flexible that Reason which is a closed system that doesn’t allow for the inclusion of VST! I think the MIDI editor is the best that I have ever seen on within music software! The MIDI editor is clean and clear – you’ll always know where you are when you need to edit in fine detail! Another thing that I appreciate is the ability to record every – almost every – adjustment of the virtual knobs and sliders on the virtual instruments and effects! This is called “automation”. Automation can make the music come alive! You will love it! Why don’t you check out the Christmas edition of Synapse Circuit for more tips on music software! And if you are interested, there’s more audio and visual software and hardware too! Oh, and don’t forget to check out the competitions! Merry Christmas to you! Keep reading Synapse Circuit magazine! DON’T PREDICT IT. MAKE IT. MAKE THE FUTURE! That seems to be Google’s mantra and now that they have employed renowned futurist, Ray Kurzweil as their new director of engineering. Wow! To me this is a great move from Google! Having Kurzweil onboard with Google is fantastic no matter what the position because that man is a thinker! But don’t ask me what he thinks about! I can’t remember in great detail... Seriously, I have seen many documentaries that have featured Kurzweil’s ideas! They are out there! I believe that he thinks that singularity will happen very near in the future. Humans will physically merge with technology. Well, we are already there. I am aware that I hardly switch off! I have Android handsets that I use regularly! Yes, I don’t bother to sell my handsets on... ...look at it this way: I am stuck, more or less, in a 24 month contract and when that contract is due an upgrade that phone is 2 years old! Nobody wants it! Or if they do it is not worth what they are offering! Besides, I love rooting these old handsets – as you’d know if you have been reading Synapse Circuit magazine. 1. I want to see drop-down menus work on tablets and handsets just like it does on the desktop and iPhone. 2. I want to be able to transfer all the apps that I have bought to any other Gmail account that I create for my other devices. I want to keep certain data on specific handsets. Yes, I can alter the sync profiles but that’s not fun to do if you keep a lot of Gmail accounts. Once you enter your credit card details into any Google+ / Gmail account those details ought to be picked up upon and every app that you’ve bought is automatically listed and there on the handset of your desire. Fix those two details and I will be one happy guy! On the other hand the apps are quite inexpensive that I don’t mind too much paying twice – especially if it helps developers! I would also like to see a decent email client. The email client that comes with Android isn’t much cop! I don’t know why Google haven’t bought or supported some brilliant email app development such as Aqua Mail already! Why, Google? Why? Oh, Gmail sometimes notifies me when I have mail and sometimes does not! This is very annoying! Google, sort it out! I think Google needs to look at keeping Android clean of junk. Through the art of rooting I have discovered that clearing the user data off the handset – synching data with Gmail first – will work wonders for Android. Wouldn’t it be great if Google could create a system cleaner that keeps Android optimised for a great performance each and every time? It sure would! What a revelation the Nexus concept has turned out to be! HTC had a go... And it got people talking. Then it was Samsung and people started buying in larger numbers. Now LG has had a go and the phones are flying off the virtual shelf! Each time I look at the Google Playstore I see that the Nexus phones have sold out! Ok, have they sold out or are they having problems with supply? Apparently, Google are blaming LG! Hahaha! When Google gets it right, they get it right! And when they get it wrong they’ve got it right! The Nexus is the most sought after handset in the world today simply because of the price! £239 for a high-end smartphone! It could have easily cost twice as much! I am thinking that Google’s strategy is to launch their 3G / LTE network; I predict that they would like to deliver a cost effective network that will give competitors a good run for their money! Google Network will cause a massive drop in prices of line rental charges. That’s how they are going to make money from Android! It makes sense... Take a contract with Google Network and get a decent handset to go with it! They have 100s to choose from! I think that’s the icing on Google’s cake! I am sure that they’d have aspects of Android / Google+ that will work through their own network. We’ll see! I also think Google will also launch a series of stores – not too dissimilar to Apple stores – around the world! I think this will be a good way to introduce their series of Chromebook laptops to the masses. The Chrome operating system has a lot to offer; I don’t think that many people are aware of what Chromebook is capable of! Sure, there are some flaws i.e. it doesn’t do video editing but this could change sometime in the future – especially with Google’s own network! I’ve got a hunch that Google will release its Glass technology once it has its network in place. I think this could happen towards the end of 2013. Google certainly has a long term plan for the future and this will become very clear in 2013! When the news broke that Google had been successful in their bid for Motorola’s mobile wing Android fans thought they’d be seeing some far out handsets. Who could have known how long it would take for Google to design and get their Motorola Nexus out? Hopefully, 2013 will be the year in which we’ll see some Google lead Motorola designs. The Razr i with the Intel chip is just the tip of the iceberg! I wish you compliments of the Season! I also hope that the Christmas edition of Synapse Circuit has given you some good guidance with your gifts this year! Now that Cook is that the helm I think he ought to just drop all the litigation against the competition. It has become apparent to me that Apple has suffered as a result of pursuing these pointless court battles with the competition – notably Samsung! I think they, Apple, could have earned more than the 1 billion-odd that Samsung has been made to pay! Again, I do think that this ruling was not fair to Samsung. Just think of what Apple might have been able to come up with for the iPhone 5 if they focused on making it better! The trouble with Jobs is that he was blind with rage to see that he boxed Apple in a corner by adhering to the stock iPhone design. Well all know how Jobs felt about a 7” tablet. But such notions were ignored with the latest iProducts. Yet, Cook insists on delivering the same cheesy, smug and annoying new product presentations that mask the shortcomings of its products and ridicules the competition. But Cook and his cohorts are the ones that look ridiculous when they produce substandard products: iPhone 5 and iPad mini. The way Cook sells the iPhone 5 is as if they have discovered the winning formula of desired screen size. No! They talk up the iPad mini only to reveal that it doesn’t have the famous retina design and its awkward 7.9” is not financially competitive. I think my prediction has come true that the iPad mini has confounded their leading tablet market. It’s rather like cloning Darth Vader from his earwax. You’re going to get something substandard. Now rumour has it that Apple are working on adding a retina display for the next version of the iPad mini. This I’ve gottta see! I’ll be curious if the price remains the same once the retina display is added to the mini. Once the retina is added to the mini I think people will go for the cheaper mini than the full blown 10” iPad itself and thus collapsing its own leading tablet market. I know that I could get the same performance from the cheaper 7.9” tablet I wouldn’t bother with the 10”! But that’s just me! To recap so far: End the lawsuits and concentrate on making iOS better. Android’s Jelly Bean surpasses iOS 6 easily and is therefore looking like yesteryear’s technology. It’s good that Cook has given designer, Jony Ives more of a role in the iPhone and iOS but I think Cook could go further and have LG or, yes, even Samsung, design different iPhone models. 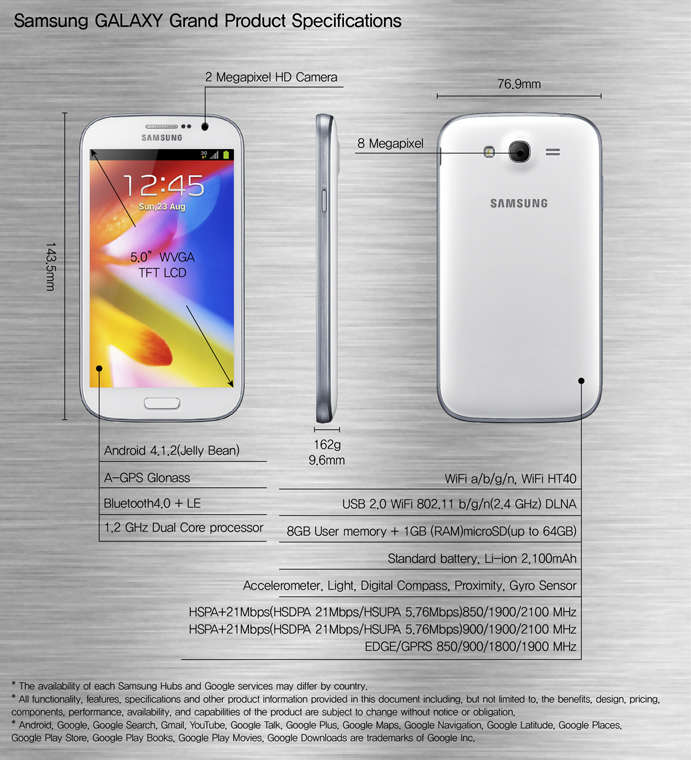 I really think that the Ives’ iPhone design is boring compared to that of the Galaxy SII, III and Note II! I think that LG, HTC and many other manufacturers are designing better looking handsets than the iPhone. I understand that a certain amount of fighting talk is a part of the technological circus arena or boxing ring. It reminds of Muhammad Ali pre-fight hype. The only trouble is, as I have being saying, it only puts Apple in a corner whereby the iPhone has been vulnerable to ferocious attacks by Android. Furthermore, Apple damages itself when they snort derision in the direction of larger screen sizes but add an inch to the iPhone like it’s a revolution. Hahahaha! They look stupid! The first thing that Jony Ives should design for Cook and Schiller is a muzzle! Apple fans do not want limitations because Cook and Schiller aren’t able to think and speak at the same time! And judging by the 10 million downloads of Google’s Map for iOS I am not alone in my way of thinking. But hang on... I was expecting more than 10 million downloads because Apple have sold more than 10 million iPhone 5 units... Hmmmm... Like I’ve said and keep saying, what Apple says it has sold and the reality are different things. It’s no wonder that Apple’s share value has dropped like it has. Again, the stark reality is a lot different from the Apple PR Hype Machine! I think it is a shame! It’s obvious that there are Apple fans out there and Cook has been letting them down. Think about it, how different is the experience of buying an automobile from a secondhand car dealer who is very economical with the truth any different from buying the iPhone with its “beautiful Map application”? Google has potentially bailed them out when they didn’t have to! 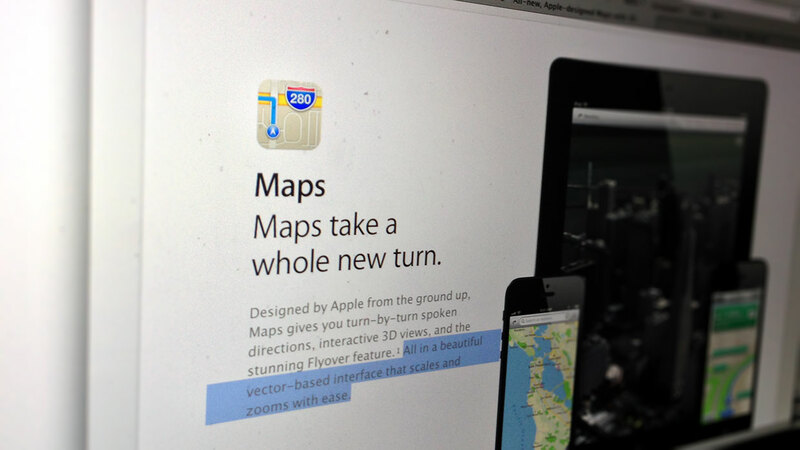 They could have even charged a small fee to iPhone customers for their brilliant maps. Another thing Apple could do with is to be practical with their devices in terms of the material; I would prefer a rubberised backing instead of aluminium for their tablets. It’s great that the iPad looks like something out of a sci-fi movie, but unfortunately the materials is prone to scratches and dents. I think the iPad would still look great if they used practical materials that can cope with everyday use; perhaps this can bring the costs down. 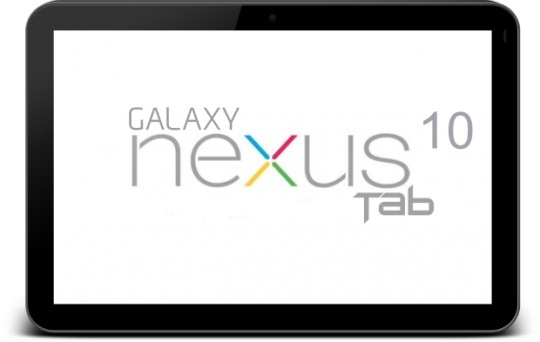 I think everybody should have a tablet be it iPad, Nexus, KindleFire, etc. At this moment in time an Apple tablet is a luxury for me but I don’t desire one. My PC – for the moment – does what I need to do on a day to day basis. Again, I have had my PC for a couple of years now. I hate the feeling of having to scrap a device each year! Build some longevity into these things! It makes me laugh that people look at me oddly when I take my Galaxy S out... Yes, I know it is not a tablet, but the phone still serves me after all those years. Sure, it is modded with a custom ROM but the Galaxy S works better than it ever did! To recap: Please, please and pretty please with sugar and strawberries on top: Please stop putting Apple in a situation whereby it cannot produce what its audience wants which is larger screens and a better operating system that lends itself to sharing easier. Look at what the competition is doing! They not only produce flagships, but they also produce handsets from their flagships that may be smaller and less extravagant where the functionality is concerned. A lot people today just want their phones to take decent pictures and video and to share them. Oh, they also want basic apps that will allow for free calls, texting and so on. Not everyone wants to fill up their storage with the 100,000-odd apps out there. Give iPhone fans a freedom of choice! I would go further by allowing other manufacturers to design and produce iPhones! Why not Apple cash in on Android and produce an Android phone? Why not do a dual booting phone: iOS / Android? Or how about a doublesided screen with iOS on one and Android on the other? Wow, dual SIM, dual operating system. I think that sort of innovation would go down with people who love technology! I’d have one! Here’s my double-barrelled question to Cook: Why try to build a Map app when Google Maps exists? Would you have been better off developing iOS further? Again, I am certainly not an Apple hater. I think the products are great looking – to a degree. I mean, I like the look of the iPad but I don’t think it’s built for practicality. I’d be holding it with kid gloves! The iPhone looked ok to begin with but, in my opinion, Samsung, HTC, LG, Motorola and just about every high-end Android handset manufacturer have and continue to design and put out better looking phones on the market! It’s time for Apple to change it up where design is concerned! I do hope Apple will bounce back! Why? Because... Yes, you know it... Competition creates innovation! Apple is not going to be doing much of that if they continue to take the competition to court! Or is because Apple doesn’t have any ideas that they feel they must make up for their distinct lack of vision by suing the competition? 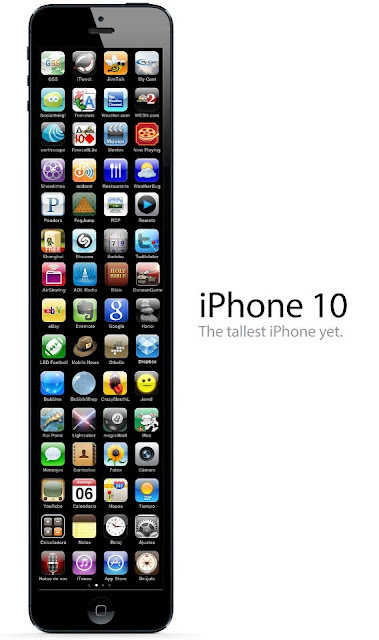 C’mon... There’s no way that Apple could have come up with something like the Note II! Uh-uh! No way! However, now that Apple has seen what others can do they might be inspired to come up with some much needed innovation! Think of your fans, Apple! Think of your fans! It’s great to see that you have been reading the Christmas issue! That’s awesome! Thank you! I was so relieved to get the Christmas issue up online; that was a lot of hard but rewarding work! Once again, YOU have helped to make Synapse Circuit rewarding! Thanks again! December 12, 2012 Google releases their Map App for iOS devices. This is great news for Apple as they have lost their way – literally! iPhone fans must have breathed a heavy sigh of relief! This move by Google may actually cause the sales of the iPhone 5 to rise! As it goes Apple shares are down below $500! Not good; but I believe that this situation is temporary and the share value will be up again in 2013. I think that Apple is going through a transitional phase what with their new lightning socket they obviously thought it was better to launch the iPad 4 sooner than later to solidify the arrival of lightning. Plus the iPad mini wasn’t well thought out... ...add the disappointing iPhone 5 to the mix. 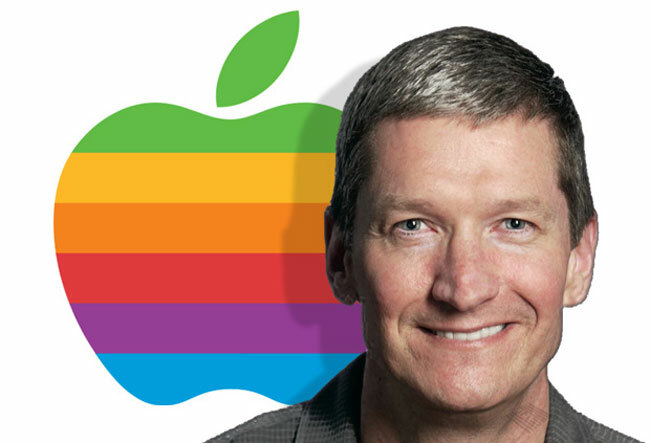 It’s a shame, but Tim Cook’s reshuffling of staff should see Apple coming back and hopefully with some innovation. But, yes, it could very well be that Google’s Map app for iOS devices will help iPhone sales to climb up a little. As a Samsung / Android fan I can say that this news has come as a relief because I don’t see why Apple have been relentlessly gunning for Samsung... What, because they are innovative? But I am glad that Apple’s bid to permanently ban Samsung devices from the US market has been rejected. On the other hand the same judge, Lucy Koh, has denied Samsung - in a separate order on Monday - a new trial based on an allegation that the jury foreman was improperly biased in favour of Apple. It also features NFC, Bluetooth 4 and WiFi. No details as of yet regarding the processor; I’d hazard a guess that it’ll be a dual-core 1.2 GHz. As you can see the Galaxy Premiere is a hefty-ish handset. Who knows if it will ever reach the UK / European and US markets? Now here’s the Galaxy Grand... The Grand is a 5” handset that is probably a version of the Note II! Well, it certainly looks like the Note II! For a start the screen is a 5” 800 x 480 WVGA TFT LCD display instead of Super AMOLED HD; I presume this is to keep the costs down. Furthermore there’s a dual-core 1.2 GHz processor and 8-megapixel camera, available in both single and dual-SIM models. There’s more... 1GB RAM, 8GB of internal memory and a large 2,100 mAh battery. Its bodywork is 9.6mm thick, which is slightly thicker than the 4.8-inch Galaxy S III. While it’s very powerful the Grand is very much a mid-range handset presumably aimed at those who prefer a large screen but have no need for an HD screen and some of productivity offered by the Note II software and stylus. The Grand could be another hit in the budget sector of the market; the big brother to the Galaxy Ace 1 & 2. GT-I9082 is the dual SIM version and will be followed shortly by the single SIM GT-I9080 model. At the moment there’s nothing on costs and availability. WHY I’M CRAZY ABOUT CRAZYTALK 7 AND WHY YOU SHOULD BE TOO! When Reallusion comes to London Town to demonstrate a new version of their software I am always excited! It’s always a wonderful experience to see John or Enoch showing off what their amazing software can do! I am a huge fan of iClone and CrazyTalk because they are powerful tools for animation and the tools remain easy to grasp in the hands of children. I hazard to recommend an age limit for children as each child is different! But I know that if these programs were in existence when I was bringing up my daughter I know that I would have had fun creating cartoons with her from the age of 4 or 5 when she showed a considerable talent for drawing. Like most children at that age they are crazy about cartoons! Being the creative and understanding dad that I am, I would have used iClone and CrazyTalk to increase her understanding of the English language – I would encourage her to write scripts! I would also encourage her to tell a good story not only from perspective but from how she’d see others; yes, I think it helps children become more socially aware and responsible for their actions. 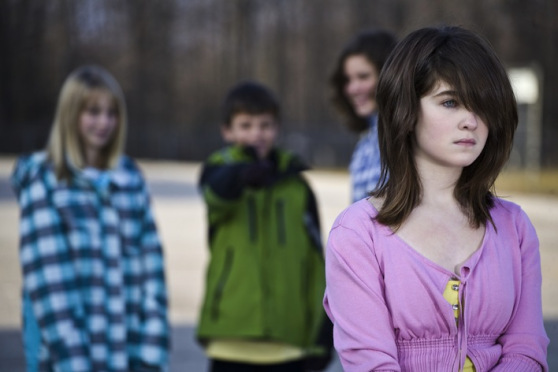 I think awareness of others could help reduce bullying in schools! If I were to be a school teacher with lofty ideas in my head I would invest my own money in getting these fantastic products as part of the school curriculum. I would love to see the minds of children expand beyond game consoles. All we are waiting for is Reallusion to come up with visual way to create games! Anyway, let’s be thankful for what we have got! REALLUSION CRAZYTALK7 NAMED AS "MAC APP STORE BEST OF 2012"
I am not surprised at all by this wonderful news! I am telling you right now that CrazyTalk 7 will be hot on any platform be it, PC, Android, Linux, etc. CrazyTalk is one of those programs that allow you to be nuts about your computer PC or Mac! I can’t tell you enough how liberating it is to be able to be creative and to share the creation or creations with everyone – the whole wide world! When it comes to animation I can’t think of any other program (programs including iClone) that produces fast results and so very cost effectively! Bring any face to life with CrazyTalk 7’s simple face-fitting alignment process then simply use your voice to turn images into talking videos! Bring the character to life with the auto motion templates in the Pro version of the program! CrazyTalk 7 uses powerful Auto-animation technology that’s allows any user, no matter if you are an iMovie-maker or a creative user, from any level, to create talking character videos from any digital photograph. Bring any face to life with CrazyTalk7’s simple face-fitting guide, and then use your own voice to puppet your actor’s performance. Auto-animation in CrazyTalk 7 is an innovative, time-saving feature that helps you create life-like animations in a matter of minutes. The ability to animate characters with any voice or text-to-speech engine, allows any user to quickly create animated shorts, video hosts, cartoon characters and more. CrazyTalk7 is unlimited in what you can bring to life. Choose a photo or illustration, fit the facial features, add audio to generate animations, and see your characters perform in real-time. Save movies for editing in iMovie, or directly upload them to YouTube. CrazyTalk 7 positions itself as an essential, quick animation tool in any artist’s toolbox. CrazyTalk 7 Mac is available in the Apple App Store for GBP £29.90. 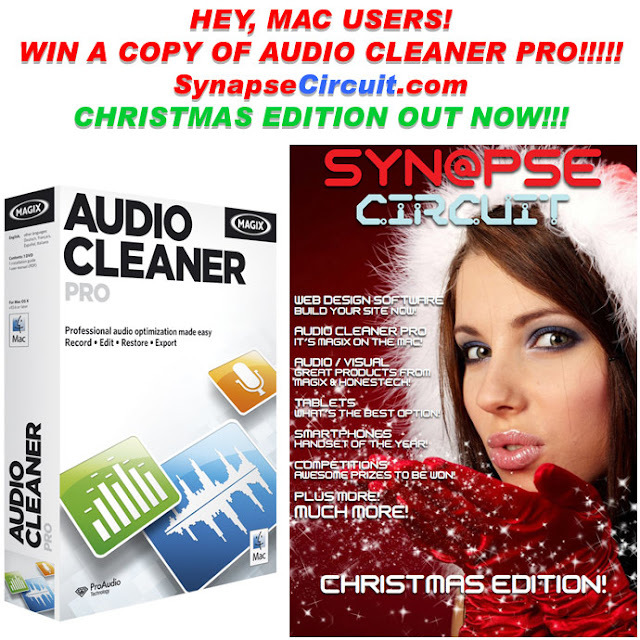 MAGIX AUDIO CLEANER PRO COMPETITION!!!! Magix has given Mac users a magnificent gift: Audio Cleaner Pro! Are you ready for the greatest news???? 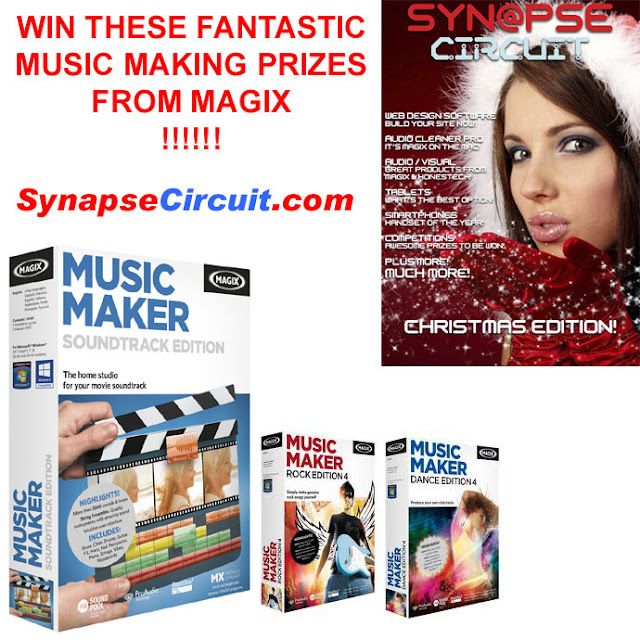 Magix has given Synapse Circuit 5 copies for our competition! If you love audio and are an audiophile then I don’t have to tell you how much you need Audio Cleaner Pro! Be a winner! 5 great copies of each to give away to the fortunate winners! Merry Crystal Clear Christmas to you all! MAGIX MUSIC MAKER SPECIAL EDITION COMPETITION!!!! Music is a great gift and to be able to play an instrument is most gratifying! 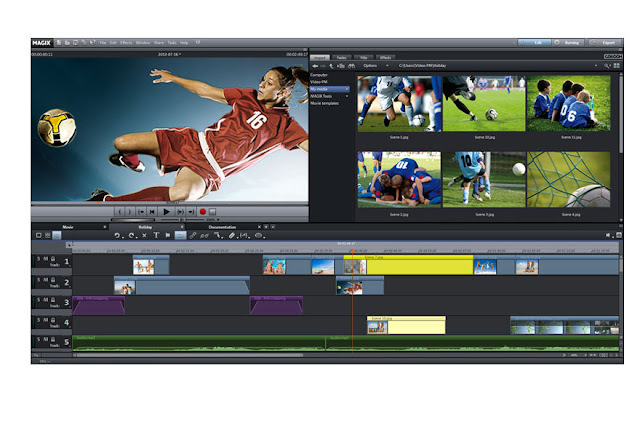 However, thanks to multimedia software giant, Magix, anyone can make music! Check out the fabulous Music Maker Special Edition software: Soundtrack (new); Rock and Dance! You can win one – plus a special bonus prize! Merry Music Making Christmas to you all! Season’s Greetings Synapse Circuit Readers! You have probably noticed that the Christmas edition is now online! Good! If you have just found out about Synapse Circuit Blogger or Blogspot, you may not be aware of the Interactive PDF magazine that is Synapse Circuit! Well, in this Christmas edition there are loads of tech-gift ideas! There’s still time to shop! I hope that you will enjoy this awesome issue! I would like to wish you all a very Merry Christmas! Happy 12/12/12! Why not give the gift of sound this year? The following music software known as digital audio workstations will turn the user into a sonic alchemist! Key elements: Here are a few attributes to any music software that I think you need to know. VST compatibility! VST stands for virtual studio technology and what this technology does is to essentially replicate hardware i.e. synthesizer keyboards and effects units with software. Therefore, the musician / composer can purchase high quality synthesizers and effects and / or download free ones from trusted websites! You want to make sure that any music software you buy is compatible with VST! Don’t be confused by some music software’s own set of virtual instruments and effects. Make sure it says VST compatible on the box or on the specifications page on the product website! ASIO, this is more to do with the quality of your soundcard. ASIO stands for audio streaming in and out! 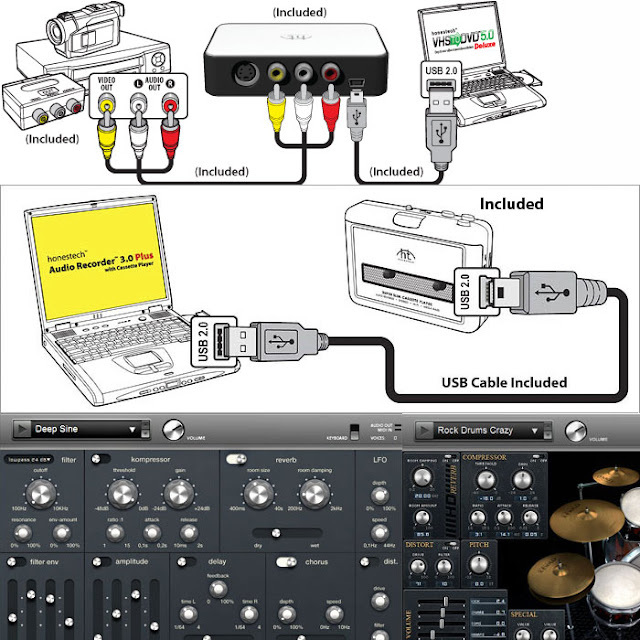 The soundcard is fitted with a processor that leaves the audio work to the soundcard and compatible software instead of having the central processor unit (CPU) handle the task, thus well make the computer system more efficient. It’s a mark of professionalism when you see ASIO supported by a digital audio workstation (DAW). Bear in mind that the soundcard of the intended may not be ASIO compatible, there will be other options such as Direct Sound. But most modern soundcards will support ASIO. THIS IS A PREVIEW FOR THE FORTHCOMING CHRISTMAS EDITION OF SYNAPSE CIRCUIT. Tablet PCs have arrived and they are here to stay! They are certainly handy for a multitude of things: surfing the Web on the go; accessing email on a larger screen; watching video; gaming; performing productive tasks such as word processing; learning to play piano and just about anything you can think of... There are so many tablets on the market it can be confusing as to which one to get for yourself or for a tech-savvy teenager! Here’s a rundown of tablets explaining their pros & cons. Yes, the iPad mini is a curious device that is more or less the recycling of the old iPad 2. It’s a contradiction in terms of Apple’s derision of the competition for not having a Retina display. Therefore, by Apple’s reckoning they have proven that it doesn’t really matter too much about having a very high definition display (or does it?). It has given the competition more of an unintended boost! It has a good build that is prone to scuffs and dents. The iPad mini’s saving grace is the apps that are available for it (see outro). Where the price is concerned, I do not think that it is competitive enough. It’s got a 7.9” screen that looks good – especially as it is framed by a thin bezel, but for the price? I don’t think so! This has been a runaway success for Google and Asus! It’s not hard to understand why! You can see straightaway that the price is just right! Like the iPad mini, you aren’t able to expand the memory with an microSD card. According to the user interface designer, Matias Duarte, “People get confused over where to store their data... They don’t seem to recognize the difference between internal and external storage...” I am just paraphrasing for expediency but this more or less the context in which Duarte spoke of regarding not including a microSD slot! Personally, I think the idea is silly! Put it this way, if you run out of memory you’ll soon find out soon enough about your external storage! Also, could this be indicative that the Android operating system is for geeks? No! But I think this move is to keep the costs competitive and to encourage users to take advantage of cloud storage! It’s a bad move to make such as statement because it adds weight to the idea that Android is just for geeks, which is totally untrue! I think 16 to 32GB of storage should be enough! Also, be aware that there is said to be a docking station for the Nexus that could very well add USB ports whereby you’ll be able to store data externally! The 7” screen is decent – it’s HD unlike the iPad mini. 1280 x 800 display! It features a quad-core processor compared to the dual-core in the mini! And, in my mind, the Jelly Bean Android 4.1 operating system is superior to Apple’s iOS! Be aware that it hasn’t got a back-facing camera, but I personally don’t need any more cameras beyond getting a decent compact! There are enough apps on Google Play to entertain! This is my favourite tablet so far! It certainly one that I would be after! I would go for the 32 WiFi + cellular version! What I like about the Nexus 7 is the rubberized back-plate; it’s built for handling! It’s robust! Here’s an alternative to both the Nexus 7 and iPad mini! It too boasts an HD display – the same resolution as the Nexus 7, but to my eye, the Nexus 7 is more vivid! But the Kindle Fire HD screen is better than the iPad mini! I don’t like the rather wide bezel. That’s just me! I like the way it handles though! On the other hand, no pun intended, it doesn’t have me touching the screen inadvertently! The plus side is that it serves its own eco-system that is Amazon App Store! This means that Android (a version of) is kept in the background! You don’t get the full Android experience, which, to me, is preferable! But the interactivity is good – not as good as the full Jelly Bean Android 4.1 experience. It is also features a 1.2 dual-core processor! Obviously, the Kindle Fire HD processor doesn’t trump the Nexus 7! The Kindle Fire HD is a good choice for entertainment purposes i.e. film, eBooks / magazines, games, etc. It’s a cost effective alternative to the iPad mini, but there’s not enough on it to beat the Nexus 7! Fair play to Amazon for carving out a niche for itself in this crowded market place! THIS IS A PREVIEW OF THE FORTHCOMING SYNAPSE CIRCUIT XMAS SPECIAL! You'll be able to read the full article very soon! Once I received my ticket to the Gadget Show Live @ Xmas 2012 it was as though Xmas had come early for me! I love gadgets (understatement of the year) and I was in Gadget Heaven! Secretly, I was hoping to meet Gadget Show’s beautiful Pollyanna Woodward! HOW DID I FIND THE SHOW? As tech shows go, the Gadget Show Live @ Xmas was quite good! Over the last 5 years, tech shows / events have been lacklustre. Since the Internet has taken off most manufacturers / software houses announce their products online! With YouTube and streaming video it is very easy to demonstrate products without going to the trouble of paying to exhibit at an event! As a result, most tech shows / expos have become specialist i.e. music tech, mobile, PC, Mac, etc. 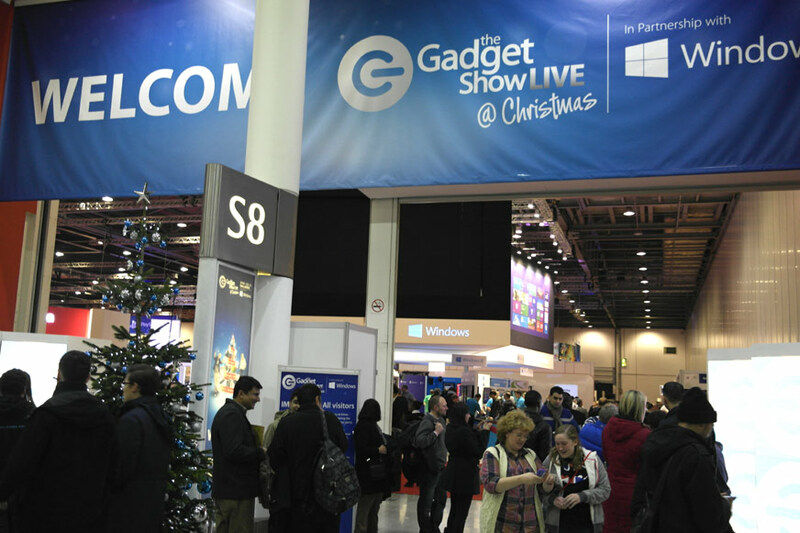 However, the Gadget Show Live @ Xmas was a welcome return to the huge tech expos that I once knew and loved! It was great to see a large number of exhibitors from different sectors: HTC with a number of Android and Windows handsets; LG with their smart-televisions; Windows showing off their selection of tablet / laptop hybrids along with Acer and HP; Canon with their cameras and printers! And there were many, many Android tablets too! Of course, there was a large amount of gaming software too! The Gadget Show did exceptionally well – even though I missed Samsung for their high-end range of handsets, cameras, etc. I also missed Magix and other music & multimedia software / hardware vendors! I think that the public ought to be exposed to more creative options! This is a preview of the Xmas issue which should be out very, very soon! I thought that was a masterstroke... I mean, there’s Steve Jobs in the background waxing on about not letting Adobe Flash on his beloved baby and how it was the best handset in the world... Along comes the Galaxy S with a 4” screen, compatibility with Flash and I think it was even thinner than the iPhone. The Galaxy S put Samsung firmly on the map! I felt that it was better than the iPhone not just because of the screen but because of Android. It made me wonder what would have happened if Android was installed on the Omnia HD I8910! Android was back in 2010 and still is at present the better operating system. Apple was making a big deal of Face Time, but it only worked over WiFi! Whereas the Galaxy S supported applications including Skype that could facilitate video chats over 3G! I do feel that the Galaxy S won the contest hands down! But unfortunately what passes for the media just gave it to the iPhone. I knew that I had to get the Galaxy SII having reviewed it! It came with a 1.2 GHz dual-core processor and featured Android Gingerbread. At the time I felt that there was nothing else on the market that was close save for a couple of HTC models including the Desire HD which produced jerky HD video recordings. Once again Samsung produced another winner with the SII! The media were still putting the iPhone ahead of the game, but the public voted for the Galaxy SII as the phone of the year, 2011! It is hardly surprising... It has great multimedia capabilities and has a great camera that takes beautiful pictures and full HD video! The SII was greatly improved when it got the Android Ice Cream Sandwich upgrade. However, it has to be noted that it wasn’t the full real deal in the first instance; but when the proper Ice Cream Sandwich was finally updated it improved the SII even more! The SII managed to be even thinner, the screen was bigger – 4.3” and the battery life had improved! 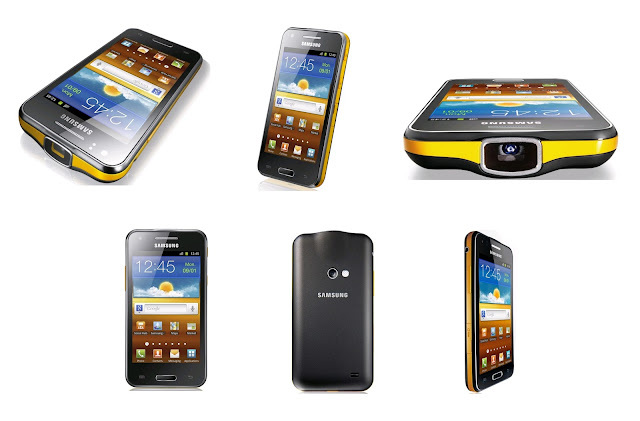 Did you know that the Galaxy SII still retains its value? Yes, when you got to some mobile phone stores the Galaxy SII is quite expensive still on a monthly contract basis! I do mystery shopping from time to time; posing has an ordinary Joe who bugs the sales assistants with a barrage of questions! The one thing that is unanimous: “The Galaxy SII is by far the best selling phone and it beats anything the iPhone 4S can do...” Now that’s not me talking; this is the sales assistants in various stores. If you want to experience Android in its purist form then this is the handset that will do it for you! Just in case you didn’t realize, the Galaxy S range of handsets uses the Samsung TouchWhiz interface overlay. To be honest I have mixed feelings about the overlay. Going back to the Galaxy S, the TouchWhiz overlay on it was ok, but I felt it made the overall experience a little sluggish. Things improved with the SII, but I noticed that the battery would deplete faster with Ice Cream Sandwich and TouchWhiz. What I have done lately is to “root” both my SI and SII and replace the ROM with the Cyanogenmod 9 Ice Cream Sandwich (I told you about that last issue). Rooting my Galaxy handsets has improved it so much it’s unbelievable! I have done away with TouchWhiz and running Android as is! As a result the phones are faster and the battery lasts even longer! I loved the minimalist design of the Galaxy Nexus, the screen size was even larger – 4.65”! I didn’t miss the TouchWhiz overlay at all! The Galaxy Nexus Android is fast! Oddly, I didn’t understand why it was given a 5MP camera; the Google Nexus is supposed to be their flagship and it really needed a better camera in my opinion – especially when it is competing against not only the iPhone, but HTC, LG and Sony, etc. Android Ice Cream Sandwich 4 was a major milestone; it showed that it was ready as an operating system that no longer needed an overlay! Things got even better – no exaggeration – when the Nexus received the latest Android, Jelly Bean 4.1! It is superb! It’s leaner and faster! The Nexus was the first to get this update! As a result it has made the Nexus desirable again! We have 5 copies to give away! To find out how you can win this awesome prize check out Synapse Circuit magazine! Last issue you should have learned how you can transfer your pictures (and video) from your handsets onto your PC or MAC. Do you remember the ways in which you can do it? 1. Remove the microSD card and place it in a card reader attached to your PC via USB or you might be fortunate that your PC has the card reader built into it! You can also use an adapter whereby you slot the microSD into a standard SD size card and then put that into a card reader. From there you can copy the contents onto the PC in a unique folder that you created. You can then burn the folder contents to a CDR or DVDR. 2. Bluetooth transfer: your PC will require a Bluetooth dongle. 3. You can connect your handset to the PC with the dual purpose cable that doubles up as a charger! Your handset then becomes, for all intents and purposes, a external hard drive for you to explore, copy to and from – of course to copy and paste your photos to another location! 4. Wi-Fi! I will explain that method to you another time... You should be able to perform the top 3 methods with confidence. E. Hardware: smartphones, digital cameras and scanners. F. Photo manipulation / editing software free and commercial. Chill out! I am going to make it as easy as possible for you! Oh, really? We’ve been living in a post PC world ever since the advent of Windows and Mac! The IBM compatible Windows PC still sells and so does the Mac! The difference between the iPad and a PC is that the PC lasts a lot longer. Web statistics show that the Windows PC still rules! The Google Chrome web browser is still the one to beat! It’s not like Apple will replace its Macs with the iPad! But what I do appreciate is that many of the apps on the Mac are also on the iPad! Kudos! That said, there are Windows 8 laptops with tablet functionality on the market right now! If I could pick up a decent Windows 8 tablet / laptop hybrid I need not worry about apps! I think Apple is just looking at their own statistics because I don’t see how one can gauge the difference between an Android phone browsing the Web or a tablet. But the one thing for sure is that the iPad was first on the market and therefore it currently holds the market share; it’s common sense that the iPad would be used predominately to surf the Web! WHAT’S GOING ON WITH APPLE? Hmmm, what’s that? Apple has recently settled their patent spat with HTC???? Imagine that, sharing the patent licences for an agreed 10 years! Very good! There’s a part of me that wishes HTC would have been unrelenting in order to teach Apple humility! Do you think there’s any chance of a similar agreement happening with Samsung? It does not look likely! In fact – if the latest news is correct – Samsung have raised their prices of their processors that are integral to the iPad and iPhone! Take that, Apple! I guess that’s one way to get the 1 Billion back! Have you heard the latest? JFK (airport) employee arrested for iPad Mini heist! Do you believe it? I’m sceptical. It seems like Apple products are sooooooooooooooooo desirable that people have to steal them! There was a similar story with the iPhone 5! Is this the Apple PR Machine again? Seriously, who would want to steal the iPad Mini of all tablets? I think they are really bad products compared to the competition! Or maybe it should be put like this: Why is Apple digging itself into a hole? I’ve said it time and time again: Apple shouldn’t be going out all guns blazing for a bunch of trivial patents. I can’t tell you enough how much I LOVE technology – especially mobile phone technology! I love it to the point where I was a little disappointed with the iPhone 5 and iPad Mini! £: EXPECT TO PAY AROUND £309 UNLOCKED. ON CONTRACT LOWEST PRICE SEEN, £26 EE – EVERYTHING EVERYWHERE. That’s what came to mind when I took the Galaxy Beam out of the box... This solid black-thing with a hazard yellow filling feels great in the hand. Imagine that, huh? A mobile phone with a mini projector built into it! Ok, battery charged up and the Galaxy Beam is ready to go! Before I had a play with the projector I played around with the phone! It’s stock Android Gingerbread 2.3.6 with the (in)famous TouchWiz 4 overlay! Y’know, I can’t say a bad thing about it – it works! It’s the one thing that I appreciate about Android is that it does what it needs to, which is to deliver a more than satisfactory user experience. I am running Jelly Bean, Android 4.1 on my Galaxy S and there isn’t too much that I miss on the Galaxy Beam as it is. However, I have understood that there’s a Jelly Bean 4.1 upgrade in the pipeline... It’s all good! I found the phone very responsive to the touch which is impressive because it’s a mere Dual-core 1GHz CPU! It feels like the Galaxy S2 with a little more spring! BE A DJ AT YOUR NEW YEAR'S PARTY! Have you, like me, always wanted to be a DJ? You ought to check out Digital DJ 2! Yeah, I have always wanted to be able to DJ – just appear at parties / clubs and be the hero of the decks! Would you believe that I attended a DJ skills workshop held by none other than Jazzie B of Soul To Soul! What put me off was, not acquiring the skills, but the equipment! Too expensive! Many, many moons ago a childhood friend of mine and I decided to become DJ’s and we got some gigs – if you could call them that – at our community centre and at school discos. The equipment we used was just domestic turntables – not even twin decks! Usually the community centres and schools had their own PA equipment, so we didn’t have to drag loads of gear around. Still, carrying the records was a great chore! Today, we / I would be using a decent laptop running Digital DJ 2! As you can imagine, I didn’t acquire great DJ skills with the method my friend and I used to entertain small audiences, so the thought of using Digital DJ 2 to mimic a highly skilled knobtwiddling beat matching DJ filled me with great glee and a little apprehension! Yes, apprehension because I know that one has to still develop some DJ skills... It’s the same as acquiring photo manipulation skills! MAKE MUSIC THE EASIER WAY!!!! 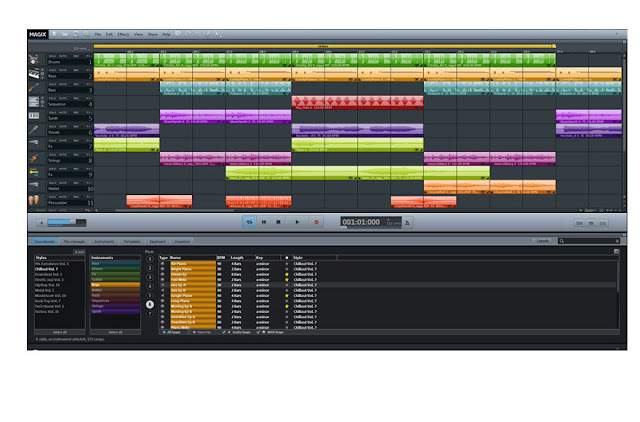 It’s good to know that Magix have a vision beyond 2012! Oooh! It’s great to know that Magix are celebrating 20 years of being in the business of brining multimedia to the masses in a way that Adobe hasn’t been able to manage! Here’s one of the best computer music programs of all time... Music Maker 2013 Premium! The Music Maker concept is one that I am very, very fond of; it is what I started out on. Each time it’s updated I wanna see what this fantastic program brings to that grand table reserved for computer music and I’m never disappointed! ANTISOCIAL NETWORKING: AMANDA TODD COULD HAVE BEEN SAVED! I have written some blogs on this subject matter that you may have read on my blogsite or through the Synapse Circuit website. However, through the shockwaves of Amanda Todd’s suicide, which should be classified as murder, I feel compelled to write this article. Cyberbullying is nothing new! Ever since we’ve been able to join chatrooms and forums there have been many a “flame war” where chatroom and forum members hurl abuse at each other for whatever reason. Usually the reason or reasons is / are so idiotic it beggars belief! If you have read my blogs on the subject matter you’ll know that I have experienced people trying their hardest to bully me within forums, owned by software companies, for no reason other than I run successful online magazines. The usual dumb thing that I get accused of is being a “spammer” when turns out that I am nothing of the sort! In fact a lot of people either do not have a clue at what “spam” is or they make it up as they go along! When people decide to make things up as they go along you can bet that jealousy is behind it. And with jealousy comes spitefulness. I have learned that there are some genuinely retarded people out there. No, I don’t mean that in the usual insulting manner. Absolutely not! It is unfortunate fact that there are people who are not able to reason both on or offline. That’s a fact! I have painstakingly gone into great detail with those who, as it turns out, aren’t able to understand simple logic and reasoning. It is a scary and mind boggling thing to experience when individuals cannot understand simple concepts and take things way out of a context that you wouldn’t have imagined. One can quickly get into a situation whereby all of a sudden you are dealing with an equally retarded mob or clique! The best thing one can do is to not waste one’s time with such folk. With the technological advancement of communications we are able to have a visual presence in the form of pictures and video… Most of the planet has taken out some form or forms of cyber-real estate i.e. Facebook, Twitter, etc. Whenever we present ourselves in the digital-flesh, if you will, we open ourselves to vulnerability unknown. This notion is exacerbated by the fact that almost anyone can get a hold of our personal details! Facebook’s security is a joke and any one of us could be the punchline! Facebook has made some terrible faux pas with our private information!